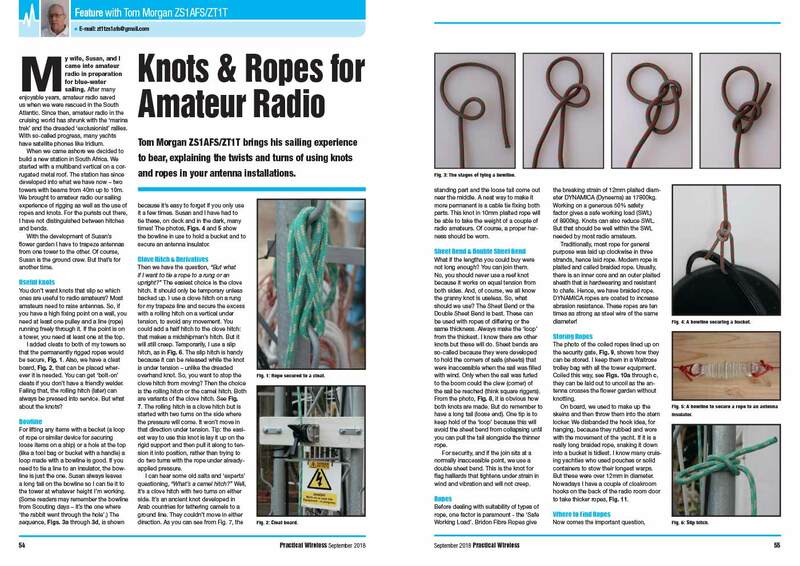 Knots and Ropes for Amateur Radio: A handy guide on how to use ropes in your antenna installation. 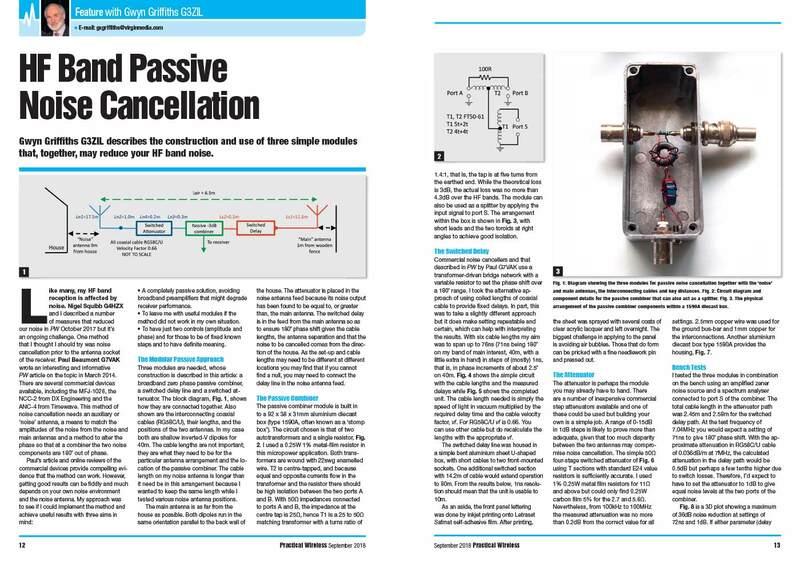 HF Noise Cancellation: Build some modules that will help reduce your HF band noise. 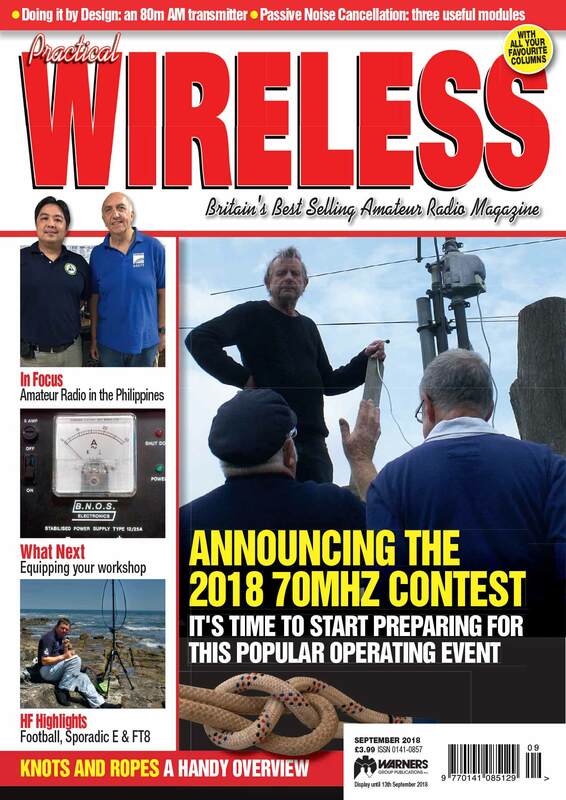 The 10th PW 70MHz Contest: Rules and operating advice. An Experimental CFR Dipole: A classic antenna design revisited. In Focus: A look at amateur radio in the Philippines. HF Highlights: Steve Telenius-Lowe PJ4DX reports on a heady combination of summer propagation, special event activity and the growth of FT8. 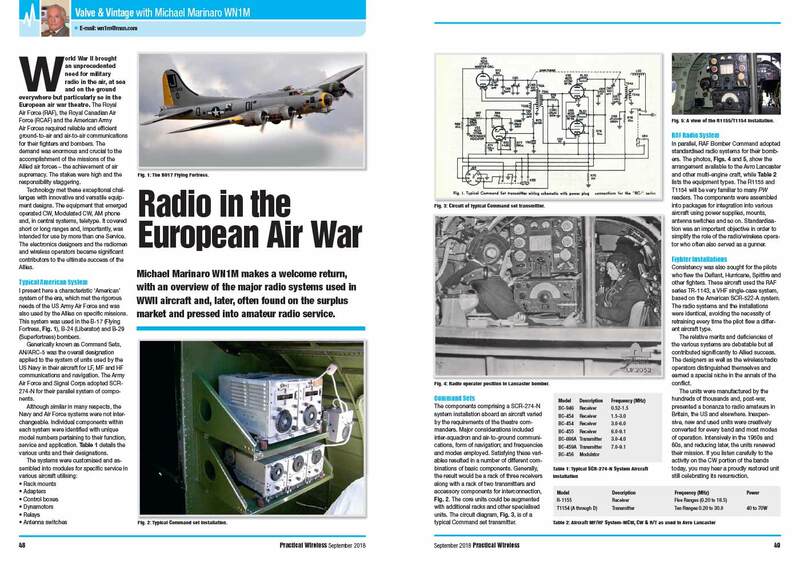 Valve and Vintage: Michael Marinaro WN1M has an overview of radio systems used in WWII aircraft. The World of VHF: Tim Kirby G4VXE finds a new solution for remote rig control and has the usual reader news. Carrying on the Practical Way: Gary Andrews M0CWY builds a simple Morse keyer while Chris Brown G4CLB creates a safe mobile headset for his Wouxun transceiver. Starting Over: Lee Aldridge G4EJB has the next episode in his return to the hobby. Data Modes: Mike Richards G4WNC has more on using single-board computers for the data modes. What Next: Colin Redwood G6MXL looks at how you can start to equip your workshop from second-hand sources. 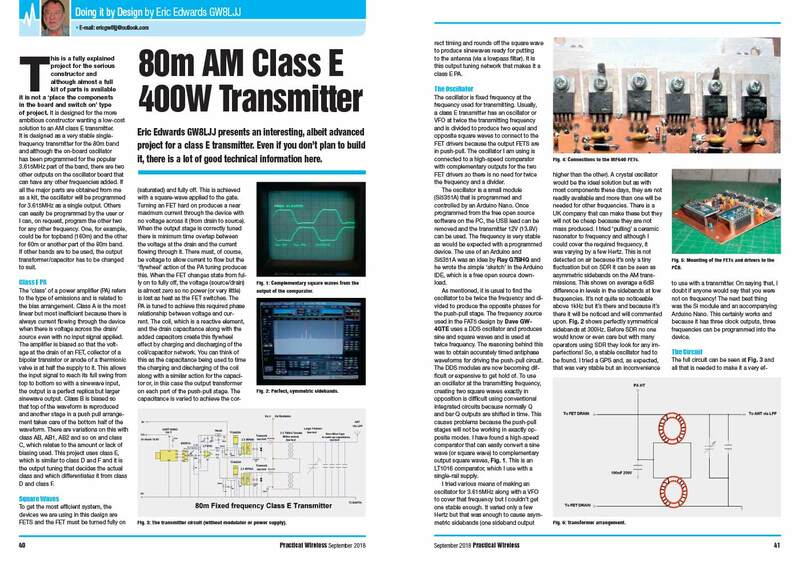 Doing it by Design: Eric Edwards GW8LJJ presents an interesting, albeit advanced project for a class E transmitter. 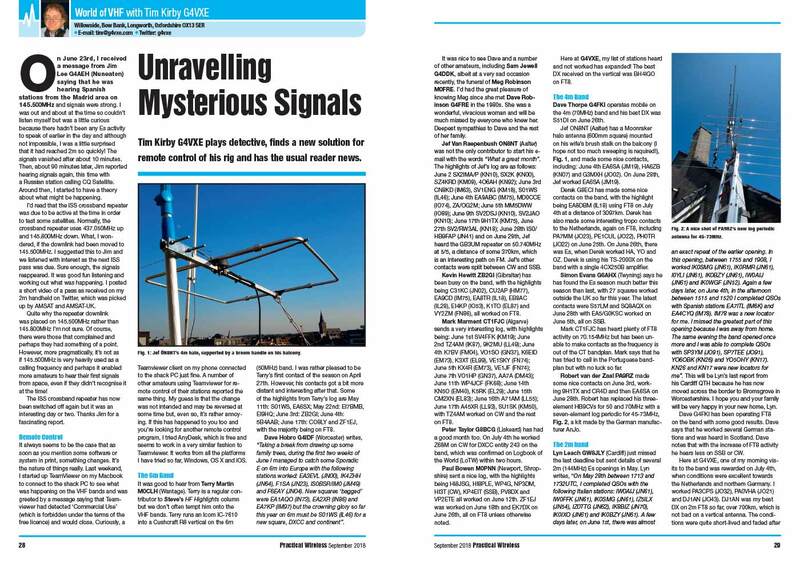 Making Waves: Steve White G3ZVW looks at what the HF bands can be expected to be like this autumn.